Far beyond the concept of a traditional pool of cement and water, there lie astounding creations of nature and man. Dipping in a pool will help you to split the extensive collection of your emotions make you feel relieved. It is incredible how one dip can soothe both your mind and heart. Here is our selection of 13 paradisiac pools around the world where each place is a healer of your soul. The Abano Grand Hotel in Padua, Venice is quite famous for its anti-aging treatments. 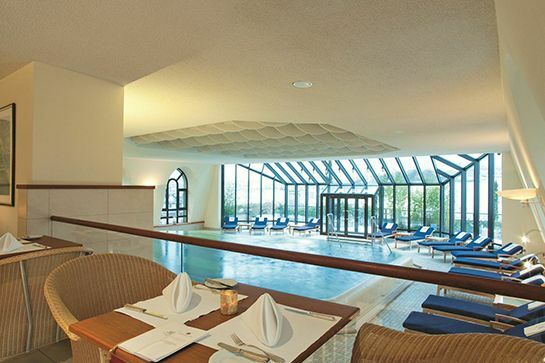 The Abano Grand Hotel has three thermal pools; The Etoile Pool, Soleil Pool, and the Lune Pool. 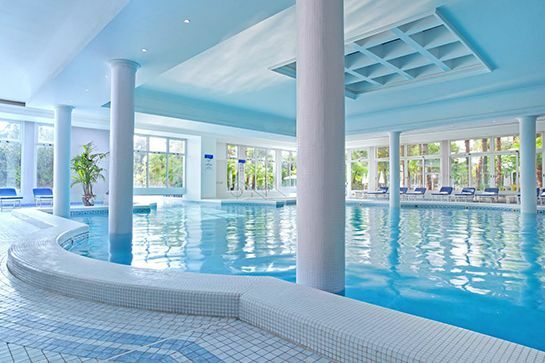 You can choose your favorite pool as all the three pools are indoor within the premises. The Paresa Resort in Phuket, Thailand is a man-made masterpiece that you ought to visit. The Pools at the Paresa Resort grants you the heavenly view of the Andaman Sea. It’s amazing how the lighting beneath the pool blends with the colors of the evening sky. 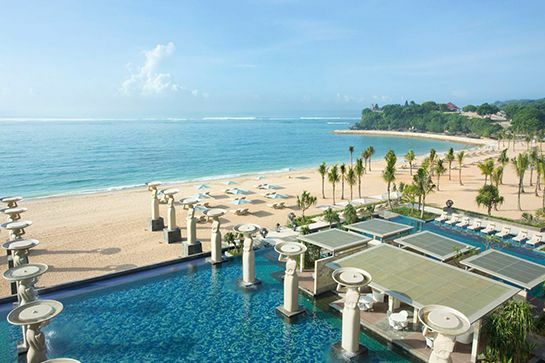 The Infinity Pool of the Mulia is merely another wonder which will make you stunned at a glance. 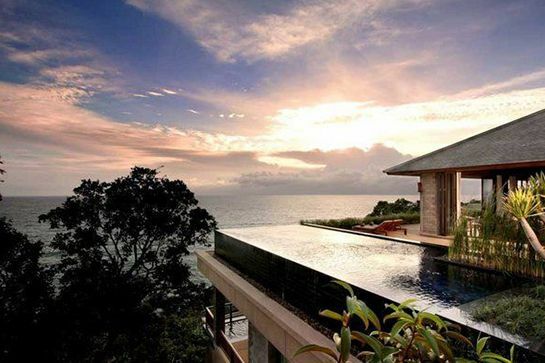 It is the pool where you would like to dip at any time of the day and keep staring at the endless ocean. 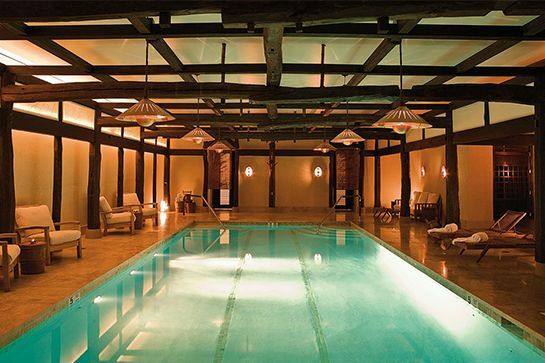 Dip yourself in this underground pool of the Greenwich Hotel in New York. 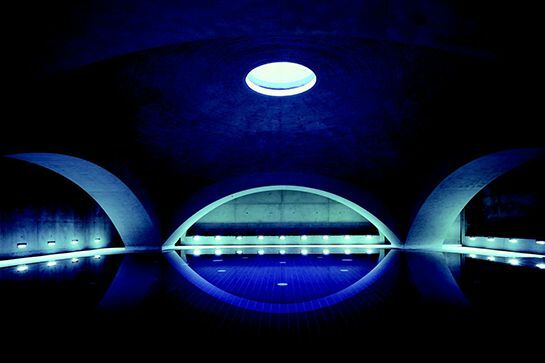 The illumination created by the lanterns merely adds more glamour to this underground pool. Don’t be surprised with the interior which looks like a 250-year-old Japanese farmhouse, originally imported from Japan. 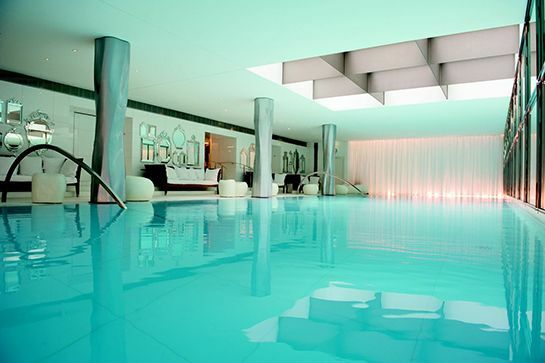 This Indoor Infinity Pool of the Le Royal Monceau Raffles bears the proud title as “the longest hotel pool in Paris.” This Infinity pool which was reopened in early August and is 23 meters long is the centerpiece of the Clarins spa. This alluring Music Pool is a unique piece of architecture developed with the concept of a circus tent. By dipping in this gorgeous pool, you can listen to electronic or classical underwater music making it more unique among the other pools. 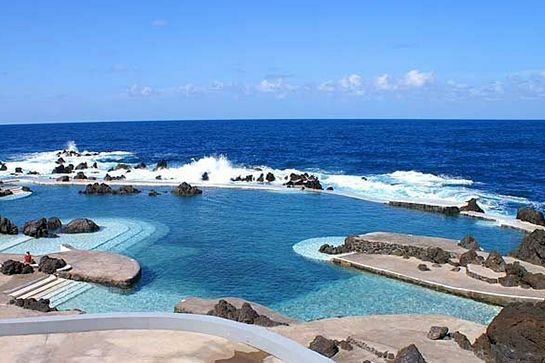 The Lava swimming pools of Porto Moniz in Madeira is a piece of nature’s masterpiece though it seems to be man-made. These pools were formed naturally as a result of a lava creek which flowed many years ago. You can have a closer look at the Ocean to see how the warm water fills these natural swimming pools. 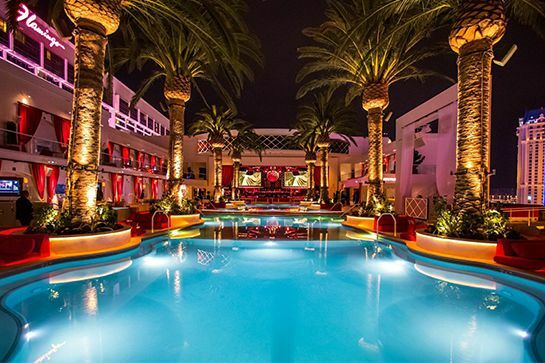 Drai’s Beach Club Nightclub Pool of the Cromwell in Las Vegas, designed by Victor Drai is a rooftop pool during the day and a nightclub at night. One venue serves you in two different ways. Enjoy the sight of the towering palm trees during the daytime and party with the friends during the night, it all comes in one place. 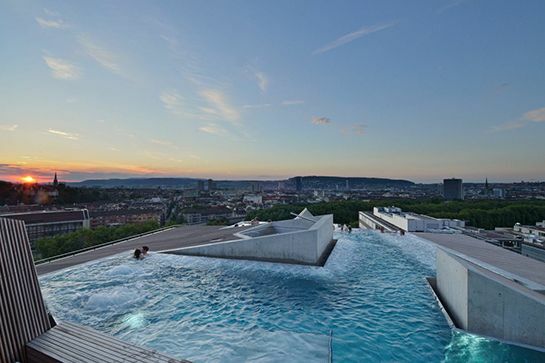 The Thermal Pool of The Hotel Nassauer Hof in Wiesbaden filled with its thermal spring is a pool which gives you more health benefits. In this pool, you can dip yourself in bathing water that is 32 degrees while enjoying as if you are in open air. This pool is something that sounds fun and exciting, imagine floating in a pool while you are somewhere in the middle of the Ocean. 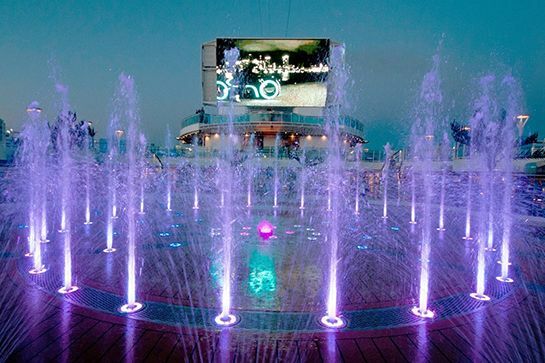 You can enjoy the journey towards your destination while you are yourself swimming in the pool on your cruise ship. It is impressive what the B2 Boutique Hotel has made out of the former Hürlimann brewery building. Once a beer-storing building in Zurich, today a boutique hotel with thermal bath and spa. 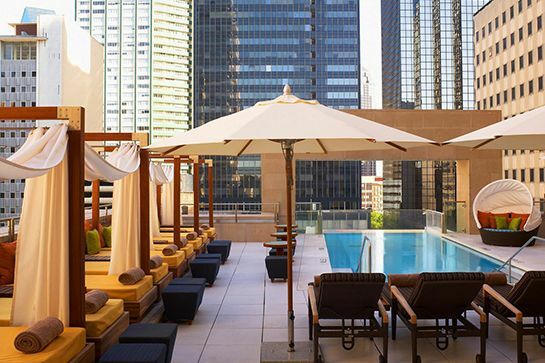 The 150-square-meter rooftop pool of B2 Boutique Hotel & Spa beats them all. The rooftop pool at The B2 Boutique Hotel & Spa is another pool which gives you a full view of the whole area. 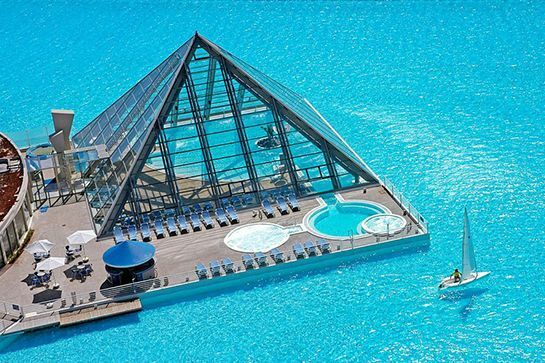 This pool in Algarrobo holds the Guinness World Record as the most significant crystalline water pool in the world. All the transparent water, the stunning design of the interior, the tons of activities that you can enjoy and the lovely views of the ocean are just inviting.